The Cubs entered the 1973-74 offseason looking to shed some age from their roster and hoped to turn the corner toward an above .500 season. Chicago finished a disappointing 5th in the NL East in 1973 under general manager John Holland and manager Whitey Lockman. Many veteran players were on the trading block including pitcher Fergie Jenkins (30), catcher Randy Hundley (31), second baseman Glen Beckert (32), left fielder Billy Williams (35), and third baseman Ron Santo (33). The new rule involving players with ten years of service with five years on one club being able to block a trade made it difficult, but not impossible, for Santo and Williams to be moved. Jenkins was the first to be dealt in late October, as he went to Texas for 23-year-old utility man Vic Harris and 22-year-old infielder Bill Madlock. Next, the Cubs traded Beckert with minor league infielder Bobby Fenwick to San Diego for outfielder Jerry Morales. Then the Cubbies set their sights on moving Santo anywhere, starting with Milwaukee with the hopes of Porter as the return. The Brewers made Porter their No. 1 selection (4th overall) in the June, 1970, draft and signed him for $80,000. He was called “the best catching prospect to come out of the Southwest since Johnny Bench.” Fresh out of high school in Oklahoma City, the young backstop joined the A level Clinton Pilots in the Midwest League. 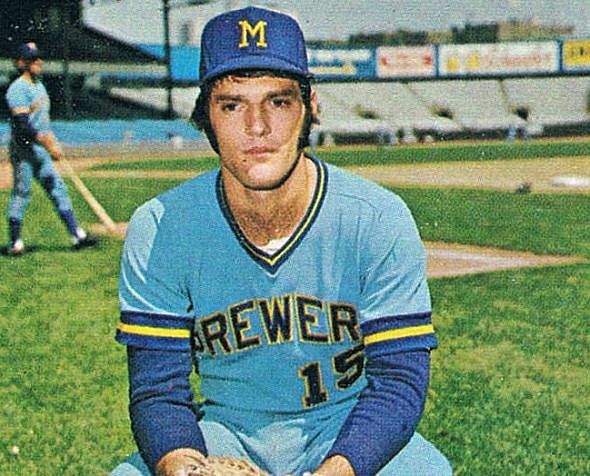 There he played alongside other future Brewers such as Gorman Thomas, Bill Travers, and Jim Slaton. Porter went on a fast track to the big leagues, spending just one more season in the minors, again with the A level team when they relocated to Danville in 1971. He clubbed 24 home runs with 70 RBI’s in 101 games and had a .271 batting average. By the end of August, Brewers GM Frank Lane announced that Porter would be one of about a half dozen players called up when rosters expanded in September. Porter got into 22 games over the final month and returned for 18 games the following season. 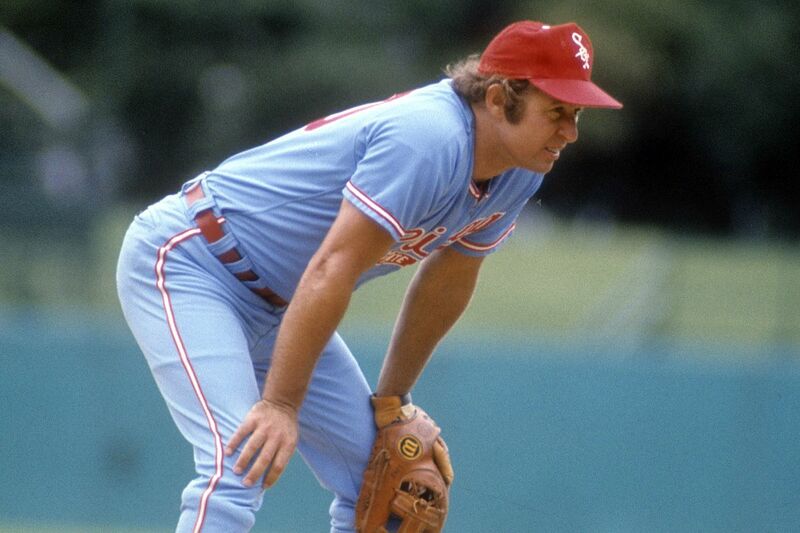 By 1973 he was in the big leagues for good and hit a respectable .241 in 131 games (490 at bats). The Brewers expected Porter to turn the corner and become another Johnny Bench, as did a number of other teams such as the Cubs following his progress. It wasn’t likely the Brewers would trade Porter as they would have been left without a regular catcher, and probably would have needed to make another trade. The team had already prepared to continue with Porter as their full-time catcher. He made fellow backstop Ellie Rodriguez expendable, and the Brewers included Rodriguez in a deal with California. The Angels threw in Art Kusnyer so the Brewers had an option for backing Porter up. The other issue would have been where to play Santo, as he had little interest in being a designated hitter. The DH spot appeared open after Ollie Brown departed in the trade to the Angels. Milwaukee had Don Money at third base, and while he could have slide over to shortstop, the Brewers promised Money the position. They also were not ready to give up on young shortstop Tim Johnson. The Cubs reportedly offered the Brewers two options – sell Porter for $1 million or make a deal for the 21-year-old catcher involving Santo or Williams. Owner Bud Selig made it clear that the Brewers would not be trading or selling Porter. “There’s not enough money anywhere to buy Porter,” Selig said. The Cubs front office continued trying to trade Williams and Santo throughout November, stressing that a move didn’t mean a fire sale. They doggedly pursued a trade with Montreal for ace reliever Mike Marshall, but that deal didn’t work out either. At baseball’s winter meetings in Houston, the Cubs attempted to send Santo to the California Angels for pitcher Rudy May and infielder Bob Oliver. Santo used his five and ten rights to block the trade. The Cubs continued with their youth movement at the meetings by sending Hundley to Minnesota in exchange for another catcher – George Mitterwald, who was three years younger than Hundley. Santo finally allowed himself to be traded on December 11 to the Chicago White Sox. The Cubs hauled in pitchers Steve Stone and Ken Frailing, catcher Steve Swisher (father of Nick Swisher), and minor league pitcher Jim Kremmel (as a “player to be named later”). The groundwork for the trade had been laid after Santo vetoed the trade to California. He went to owner Phil Wrigley and pleaded for him to exert every effort to make a trade to the White Sox. Santo expressed bitterness over the Cubs cleaning out older players, but was happy that Wrigley spent six days fulfilling his wish. Santo said he would retire before he played for the Cubs in 1974. The new-look Cubs posted a disappointing 66-96 record, and sent manager Whitey Lockman packing after 93 games, replacing him with Jim Marshall. Meanwhile, Santo played in the fewest games (117) of his career since his rookie year and saw his batting average drop 46 points from the previous season. He played more games at second base than ever before (39) and even though he expressed no desire to be a DH, played 47 games at the position. Santo officially retired in December, 1974. He said he saw the writing on the wall back in June when he was lifted for a pinch hitter. “After that I felt like a piece of furniture,” he said. 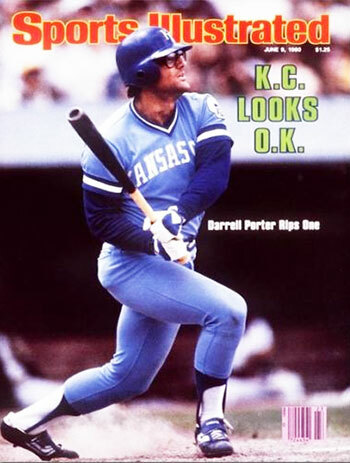 The Brewers went on to trade Porter on December 6, 1976, to Kansas City as part of a multi-player deal. Royals manager Whitey Herzog told the press that he knew Porter had formerly been a top catching prospect and hoped that the change of scenery would do him good. “Two years ago, you couldn’t acquire him,” Herzog said. Porter went on to have some of his finest seasons in Kansas City, then joined Herzog in 1981 with the Cardinals. He burned the Brewers in the 1982 World Series, leading his team to victory in seven games while winning the series MVP award. Porter battled a drug addiction through much of his career. He had twenty years of sobriety before relapsing. He died tragically at the age of 50 of a cocaine overdose.